SPOKANE, Wash. -- Concealed weapons are part of everyday life in Idaho, and that's unlikely to change in the Mountain West state despite a shocking accident in which a 2-year-old boy reached into his mother's purse, got ahold of her gun and shot her in the head inside a Wal-Mart. Veronica J. Rutledge, 29, was shopping Tuesday morning with her son and three nieces in Hayden, Idaho, when the small-caliber handgun discharged one time, killing her. Terry Rutledge, Veronica's father-in-law, told The Spokesman-Review that the boy unzipped the special gun compartment in the woman's purse where the weapon was kept while she was looking at clothing. Terry Rutledge said his daughter-in-law did not put the weapon "loosely into her purse." Victoria Rutledge had a concealed weapons permit, and guns were a big part of Rutledge's life, her father-in-law said. "She was not the least bit irresponsible," Terry Rutledge said in a brief interview with The Associated Press. He complained about people using the incident to attack his daughter-in-law. Meanwhile, the Kootenai County Sheriff's Office on Wednesday afternoon released a few more details about the incident. The boy removed the 9mm semi-automatic handgun from his mother's purse and shot her once in the head, killing her instantly, the sheriff's office said. The manager of the store, who was nearby when the shot was fired, stepped in and took the firearm from the child, the sheriff's office said. The manager and other employees secured the scene and evacuated customers. The woman's purse was new and was designed to carry a concealed firearm, the sheriff's office said. Detectives continue to analyze video from the store, examine the weapon and interview witnesses, the sheriff's office added. Terry Rutledge told The Washington Post that Veronica Rutledge and her husband practiced at shooting ranges and each had a concealed weapons permit. He said for Christmas this year, her husband gave her the purse with a special zippered pocket for a concealed weapon. About 7 percent of adults in Idaho had concealed weapons permits at the end of 2012, according to the Crime Prevention Research Center in Swarthmore, Pennsylvania. That ranked Idaho among the top third of states. Kootenai County, which has about 140,000 residents, has issued close to 16,000 concealed weapons permits, Kootenai County sheriff's spokesman Stu Miller said Wednesday. "It's very commonplace in northern Idaho for folks to have a concealed weapons permit," Miller said, and most businesses do not prohibit firearms. Veronica Rutledge lived in Blackfoot, in southeastern Idaho, and her family had come to the Hayden area to visit relatives for Christmas. She was an employee of the Idaho National Laboratory near Idaho Falls, Idaho, where she was a nuclear scientist. The laboratory supports the U.S. Department of Energy in nuclear and energy research and national defense. "We're deeply saddened by this tragedy," said Nicole Stricker, a spokeswoman for the lab. Rutledge graduated from high school in Harrison, a lakeside town in the Idaho Panhandle. She was the valedictorian of her class. She graduated from the University of Idaho with a degree in chemistry. She had taken the children to Wal-Mart on Tuesday morning to spend their Christmas gift cards, family members said. Her young son, her only child, was in a shopping cart. Responding deputies found Rutledge dead in the electronics section of the Wal-Mart in Hayden, a rural town of about 12,000 people 40 miles northeast of Spokane. Colt Rutledge, 32, arrived at the store in Idaho's northern panhandle shortly after the shooting around 10:20 a.m. Tuesday, Miller said. All the children were taken to a relative's house. Officers viewed surveillance video provided by the store to determine what happened, Miller said. Like other Western states, gun rights are a big issue in Idaho. State lawmakers passed legislation earlier this year allowing concealed weapons on the state's public college and university campuses. Despite facing opposition from all eight of the state's university college presidents, lawmakers sided with gun-rights advocates who said the law would better uphold the Second Amendment. 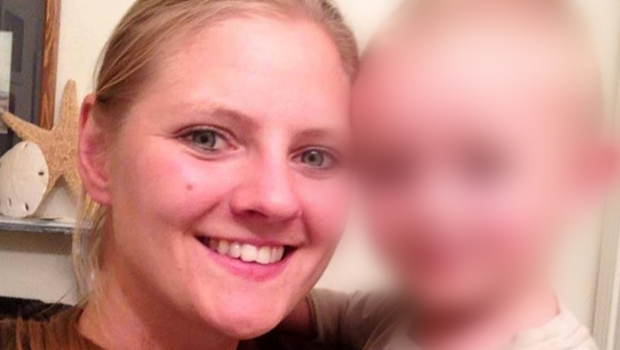 Terry Rutledge told the AP that his daughter-in-law "was a beautiful, young, loving mother." "She was taken much too soon," he said.